Our range of products include magnetic swivel base, air preparation unit, expel compressed air filter, pneumatic timers, swivel fittings and electronic temperature control for panel coolers. Usage/Application It is used where the air operated product is required to be fixed but can also be frequently moved. Magnetic Base is used where the air operated products is required to be frequently moved. 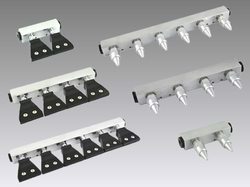 The extra strong magnet allows for flexible mounting, whether vertical or horizontal. Optional mini shut-off valve can be supplied. 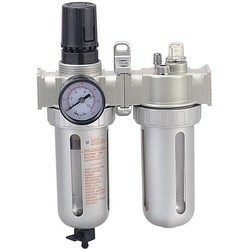 We are a paramount organization, which is engaged in manufacturing and supplying a wide variety of Air Preparation Units to our esteemed patrons.These units are manufactured with high precision using advanced and modern technology machinery.The offered unit is available in various specifications and can be customized as per the application requirements of the clients'. 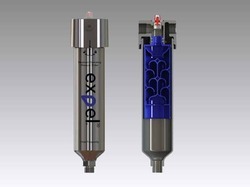 Expel will dramatically improve compressed air systems throughoutthe industry. The unique patented design allows it to efficientlyremove 99.9999% of liquid, oil, water and removes othercontaminants down to 1 micron when installed at point of use. These Pneumatic Timers is widely demanded in several industries for the measurement of efficiency or performance of several kinds of machines. These are used in process control industry to operate various machines sequentially applications like, boiler controls, drier controls, various serial operation in textile industry can be covered using this controllers. These are used to provide a time delay of 1 to 10 or 3 to 30 or 10 to 60 seconds in a pneumatic circuit. Thread Size 1/8", 1/4", 1/2", 3/8"
Electronic Temperature Control For Panel Coolers is a way for precise control of one or two Nex Flow™ Frigid-X™ panel coolers. Manifolds are a convenient way to mount rows of multiple nozzles, air jets and other small blow off products to dry, clean or cool wider surfaces. Come complete with mounting holes. All Manifolds are available with air inlet connections at the ends and rear. 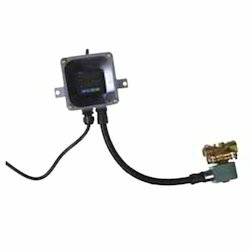 For smaller air flows, you may use one end connection or rear connection. For larger flows, you need to utilize the two end connections. Two basic Manifold sizes are available with three versions for each: Two (2) outlet unit, Four (4) outlet unit and Six (6) outlet unit. 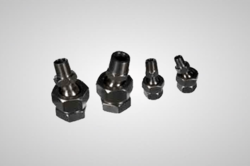 There is the Standard Flow Size and for high flows, the High Flow Size for each version. A flow guide is provided for each version and size. Manifolds may be held in place with the compressed air piping or by using the mounting holes on the units. Comes in two sizes and three variations for aech size. Flexible in use - multiple air inlets. 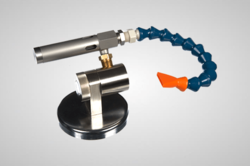 Allows to easily apply nozzles, jets or other blow off products in rows. Looking for Special Pneumatic Accessories ?